EUROPE: Facilitating corporate renewable power purchase agreements (PPAs) can "play a decisive role in delivering Europe's climate and energy objectives", more than 50 multinational companies and industry organisations have said. In an open letter to the European Union's energy ministers ahead of their meeting on Monday, the group also called for a renewable energy target of at least 35% by 2030. Industry organisations including WindEurope and SolarPower Europe, and blue chip companies such as Facebook, Google and Microsoft, co-signed the letter. Adopting renewable energy targets of at least 35% by 2030 would provide further certainty for investors, by "ensuring stable and predictable national deployment policies", the group, which also includes telecommunications company BT, consumer product giant Unilever, and Dutch electronics firm Phillips, added. Setting a 35% target — backed by the Industry Committee of the European Parliament — would be an increase from the current 27% target. The letter also reiterated the industry bodies’ call, made in October, for the EU to remove all barriers to companies forging PPAs for renewable energy. Corporate renewable power deals "enable large energy consumers… to secure a supply of green electricity at a competitive price", the signatories, including manufacturers Vestas, Enercon and Siemens Gamesa, wrote. Such deals "provide financial certainty for renewable energy providers" and are capable of "bringing forward billions of euros of investment, unlocking innovation and new business models," they added. The letter urged the EU to maintain a provision of its new Renewables Directive requiring member states to "remove administrative barriers to corporate long-term PPAs to finance renewables and facilitate their uptake". Only a handful of large corporations have signed renewable PPAs in Europe, with the bulk of these deals concentrated in Scandinavia and the UK. In the UK, mobile phone network EE, part of the BT Group, signed a five-year PPA for 680MW of wind- and solar-generated electricity with Innogy subsidiary Npower in October. 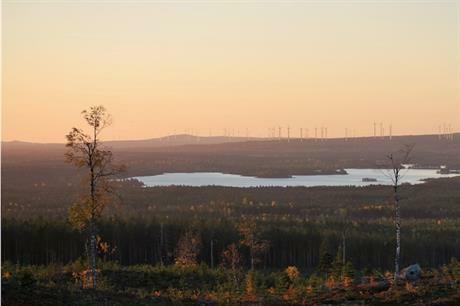 Meanwhile, in Sweden, aluminium-producer Norsk Hydro last month agreed to buy an unspecified amount of power from the 650MW Markbygden ETT project. WindEurope had previously argued in some countries it is unclear whether such power deals are legal.